An overemphasis on physical form or a particular policy, without an eye to underlying cultural and socioeconomic factors, may create unintended consequences. Urbanism without effort depends on initial acknowledgement of local values and preferences as a central aspect of creating successful urban environments. 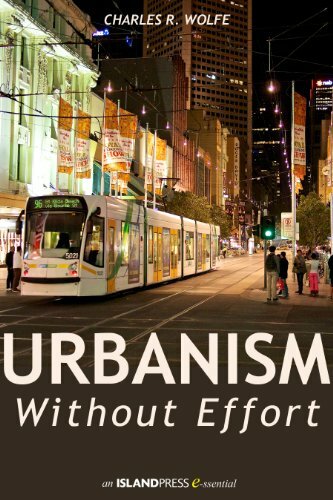 Wolfe, Charles R.. Urbanism Without Effort (Island Press E-ssentials) (Kindle Locations 321-323). Island Press. Kindle Edition.